【Cyber Monday Deals Start! 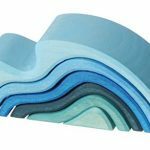 Safe & Durable Material】The magnetic building blocks is made with high quality non-toxic original ABS material. Smooth edge of each blocks will never hurt kid’s little hands and safe for them. 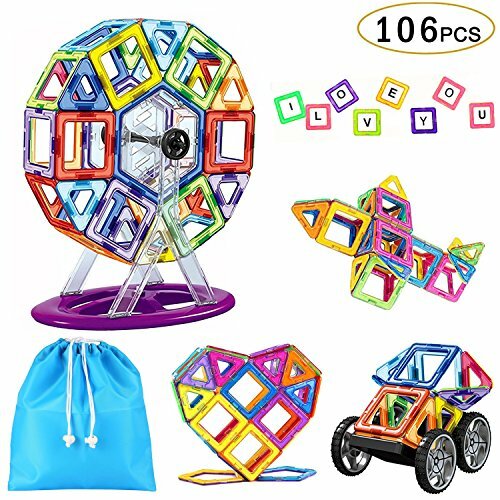 【106 Pieces Magnetic Set】Kids building sets including Ferris wheel set (8 component), 24*Square, 14*Triangle, 2*Long Triangle, 2*Hexagon ,2*Semicircle, 50*Solid Square (Not Magnetic), 2*Wheels, 2*letters/number/animal stickers, 1*Storage Bag, 1*Booklet. 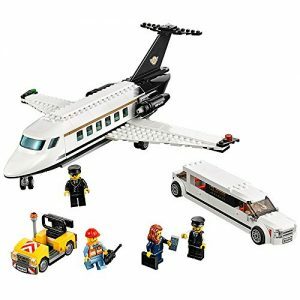 With this combination of components, kids will be well equipped to build any thing they can imagine. 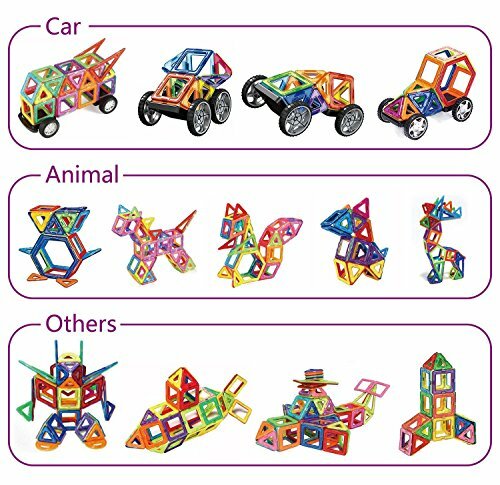 【STEM Educational Toys】This STEM magnetic building blocks toy set could develop children’s fine motor development, cognitive development of color, teamwork ability, artistic cognitive, sensory, cognitive ability, practical ability, imagination and creativity. 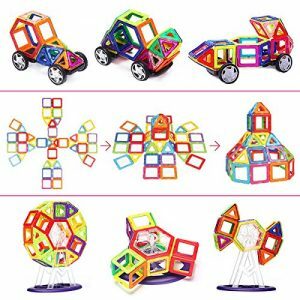 With power magnetic blocks and vibrant rainbow colors, can easy connect to DIY building models as children like. More accessories, more fun. 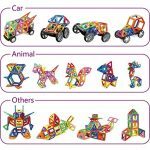 The magnetic building blocks set offers the opportunity for younger kids to practice their imagination and creativity skills and experiment with the laws of physics while giving older kids an opportunity to practice colors, shaping recognition recognition. 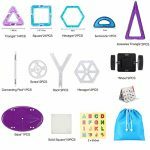 Material: High quality ABS plastic & magnetic materials. Learn shapes, colors and how to build from 2D to 3D. 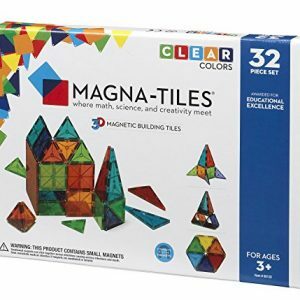 Magnetic Tiles Kit is also a great gift for girls and boys over the age of 3. Whether it be a birthday, holiday or christmas just as a way to remind someone you care, you can expect hours of creative, imagine playtime with magnetic building blocks connect. 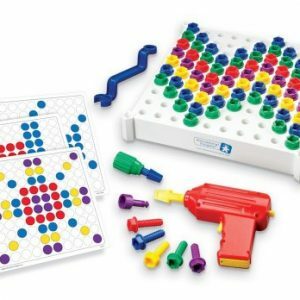 【Easy Cleaning and Storing】This magnetic tiles set can be cleaned in seconds. 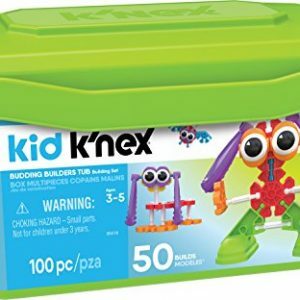 Comes with a storage bag to store all the tiles while not play.Also an idea booklet included for your easy reference to build various kinds of models. 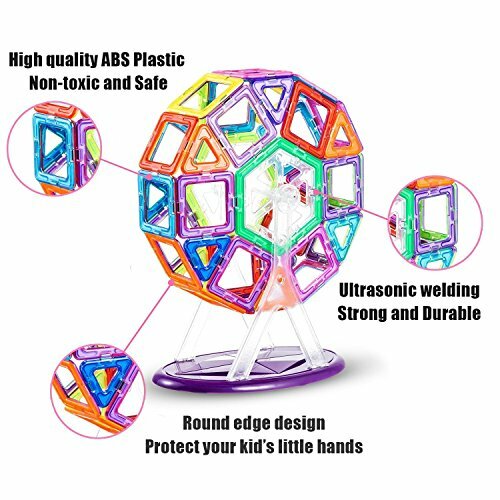 【Quality Guarantee】Recommend for Children above 3-Year old. We can give you a 100% Money Back Guarantee. If you child don’t love it or you found that the product is poor made, we’ll replace it or give you a full refund. Create Cubes, Pyramids, and Other Geometric Shapes – Think in 3-D!